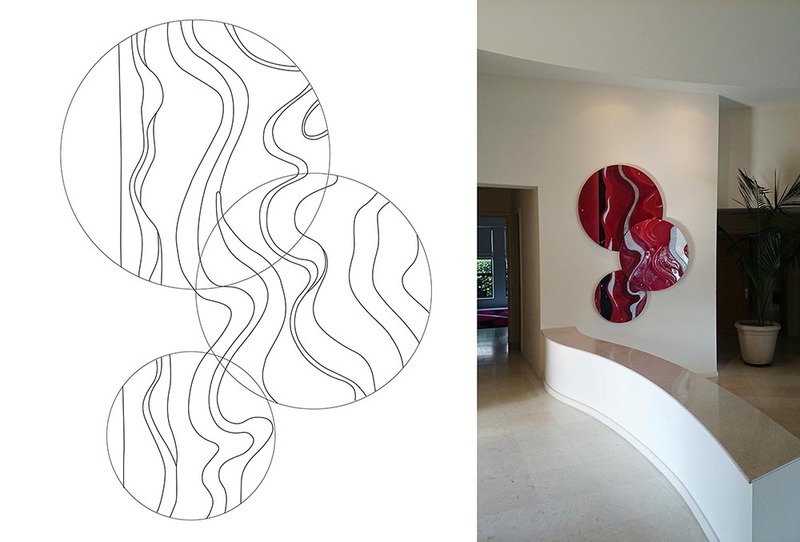 Here is an example of the design process for a recent Glass Art project for a client in Sanctuary Cove QLD. The process starts with our artists visiting the home and locating where the artwork will go. We speak to the clients about colour schemes and ideas they might have. We then talk in depth with our talented artists and sketch designs. Once the client signs off…we get to work! Moulds are made, and glass is fired. Once the hand painting process is completed, the artwork is installed at the clients home. The finished art speaks for itself!